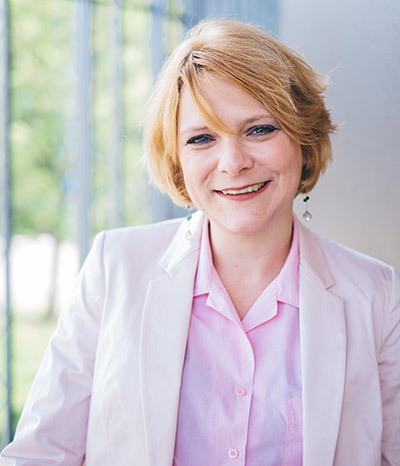 How can I boost my own business intelligence? Whether you’re a first-grade student or a senior manager, the potential of digital data can be overwhelming. You want to learn more, but where do you start? 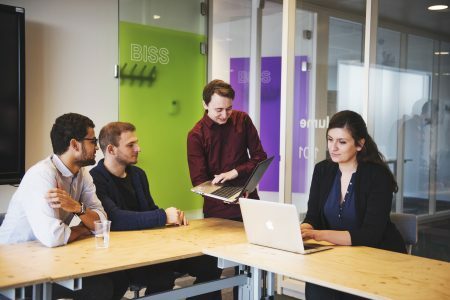 You’ve come to the right place, because at BISS we want to share our knowledge about business intelligence and smart services with you. At BISS education comes in all shapes and sizes, from short-run academic counselling to a 4-year PhD program. 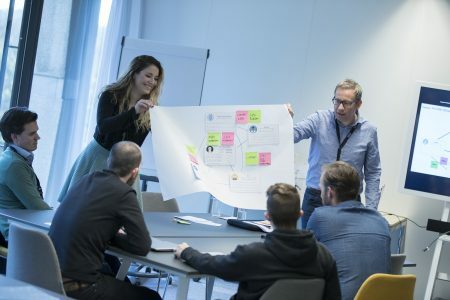 We mainly focus on talent development by participating in co-creation activities, contract education for professionals and educating students from bachelor and master programs. We have access to some of the greatest minds, facilities and educational networks to offer you anything you need. The great thing about BISS is that turning even the most complex data into valuable insights is at the very core of what we do. We’ve used this expertise to create introduction and advanced training courses on data science and smart services. Ideal programs for individuals and teams to get a grip on the fundamentals of business intelligence or really develop their data skills. What really gets our juices flowing is applying knowledge, turning data into solutions and services that actually mean something to people, businesses and society. That’s why we love to create tailor-made training modules and programs, centred around your current business case. Do you have a challenge that could use a whole new perspective in the field of data application, business intelligence or smart service innovation? Let us know and we’ll create a custom-made training, combining theory and solution-finding steps. 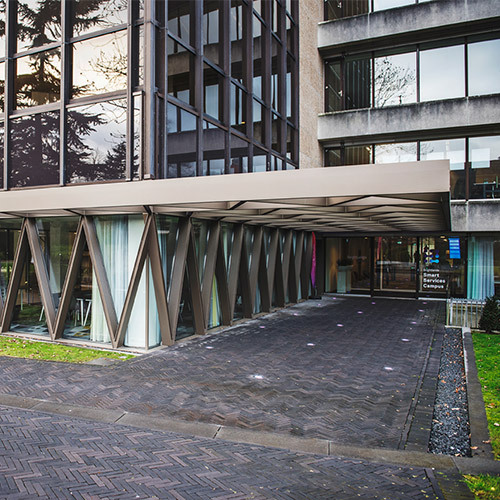 We are located at the Brightlands Smart Services Campus in Heerlen, an ideal location because this is where the magic happens. Students, PhD’s and professionals meet face to face, interact and share updates and experience. In our large Service Innovation lab we host service design workshops, seminars, student projects, and many more activities. We also offer in-company solutions if that’s more efficient for you. From basic insights to lifelong learning solutions – BISS is your data science education partner. 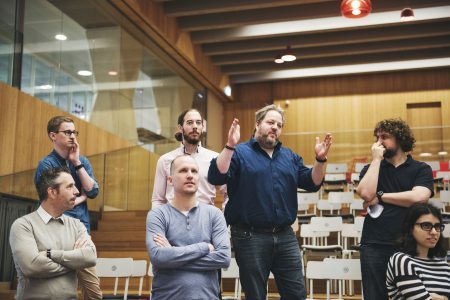 Maastricht University offers data science education at all levels: bachelor programs, master programs and expert courses for professionals. BISS has a part in some of them. 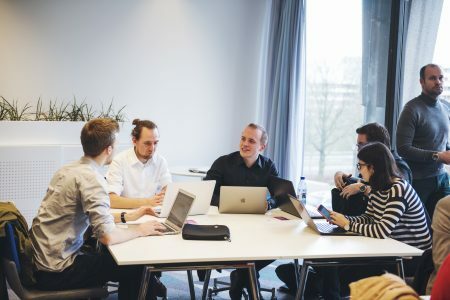 If you are interested in a high quality education in data science to strenghten your future career, have a look at the current programs and courses offered by Maastricht University. You got stuck in a project, you could use a second-opinion or would like counselling once a week from one of our BISS experts? Academic counselling is our most personal way of boosting your business intelligence or solving a specific data-related problem. Please get in touch and we’ll discuss the academic counselling solution that suits you best.